I would tell other people that they are very thorough, and they keep you posted as to what's going on. If there are changes in the plans of what they're doing or whether they are going to have to charge you more for something, they tell you and ask you about it. They don't just charge you more. I got their name from our neighbors, and since we've had two projects done by them, we will have one more soon. 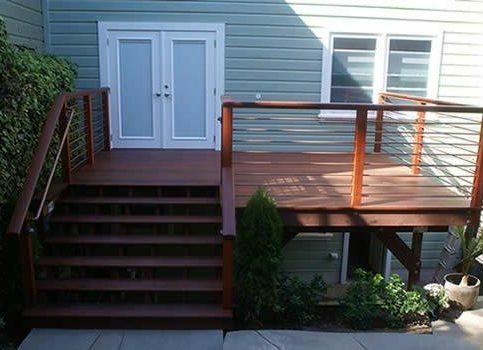 I highly recommend them to anyone who needs their services, but I would like to qualify that by saying everything we've had done has been wood, deck work, or stairways though, so anything else, I can't speak on. The whole experience was extremely positive. I like Dave Graham and his workers who are very hard workers. When we originally saw them working at our neighbors, they were building a big stone retaining wall. I saw those guys going up and down stairs carrying garbage cans full of rocks. They were incredible. I'm pretty sure ours is the same crew, and they're all amazing. Well, I suppose several things. When the work was completed, it looked great. It looks great now, and it satisfied a need that I had. The price was certainly in the range I was looking for, so that about sums it up, price and the quality of the work. The conversation with the owner, Dave, and all of the above was favorable. He took a look at the project and said that it shouldn't be a problem, so that was comforting. They were everything they promised to be. I was pleased and impressed. I would use them again. I have no problems and no complaints with them. 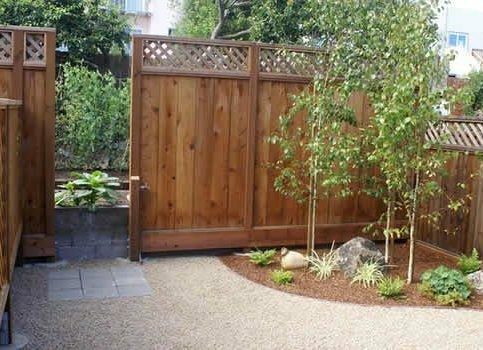 Atlas Landscapes offers a variety of landscape and general contracting services to residential clients throughout the Bay Area. 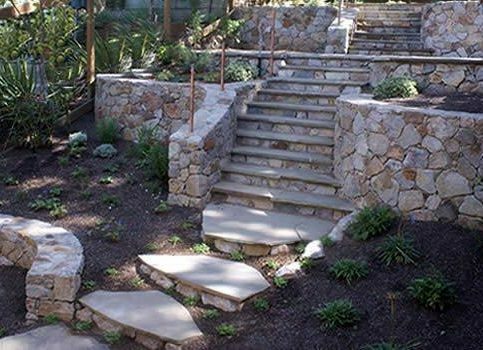 The company utilizes its masonry, carpentry, planting, lighting, irrigation, drainage and excavation skills to create custom landscapes that are designed to complement the architecture of its customers’ homes. 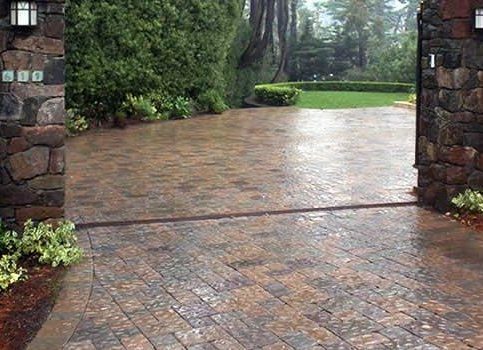 Its building and installation capabilities extend to drainage systems, natural stone retaining walls, flagstone patios, driveways, water features, arbors, fences, gazebos, decks, and more. Atlas Landscapes takes pride in its ability to choose the right soils and plants to complement the styles and microclimates of its clients’ properties. 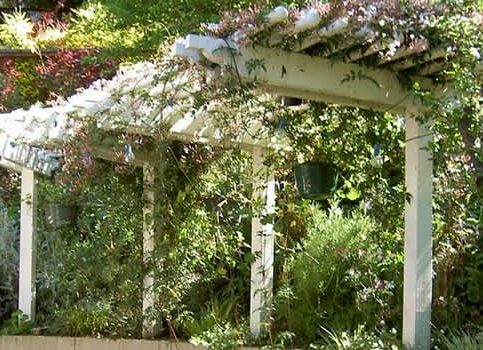 “We take the guesswork out of creating thriving gardens,” says Mr. Graham. Atlas Landscapes recently installed this stained concrete patio. "We love what we do and it shows. Our team of experts always finds a way to improve a landscape's aesthetics and make it more functional. We have the expertise and equipment to take on all types of challenges, including slopes and tight-access areas. Ultimately, we strive to create outdoor environments that feel like personal sanctuaries." 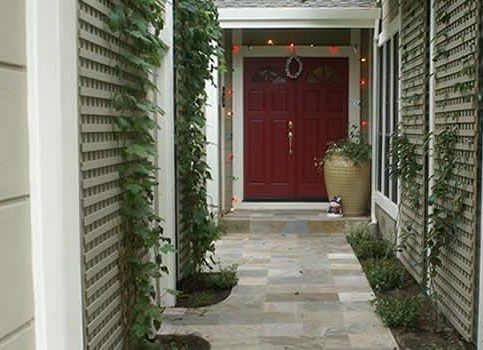 Natural stone walls have proven to be very desirable outdoor design features. To make the walls look as if they’ve been standing for many years, various methods are used so mortar doesn’t show in the construction. “Our walls have great structural integrity. They’re built on a steel foundation that’s woven through the walls,” explains Mr. Graham. “The outer core of the walls is all-natural stone. We also leave pockets for planting. This gives the impression of a living wall.” The overall effect is that of a natural formation created by time and the elements. Water features such as fountains and ponds can be added to complement the gardens and help create an outdoor environment that feels like a personal sanctuary. When considering a landscaping project—big or small—it’s important to find a contractor who will work with you according to your wishes and tastes. It’s a good idea to start out by looking through magazines and other garden publications to get a sense of what you like. When consulting with a landscape contractor for the first time, you should feel completely confident and comfortable about sharing your ideas and being a part of the planning process. Choose a contractor who’s well established in the industry. “I’d look for someone who’s been running their business for at least five years and had training prior to that. There are so many facets to this business, and contractors need to be familiar with each skill and trade,” says Mr. Graham. “Make sure they’ve been around for a long time. People who don’t work with integrity or provide quality workmanship don’t last.” In addition, it’s important to know how long the employees have been with the company and if they’ve also acquired the necessary knowledge and skills, either through formal education or extensive, on-the-job training. Q: Besides gardens and stone walls, what other services do you provide? 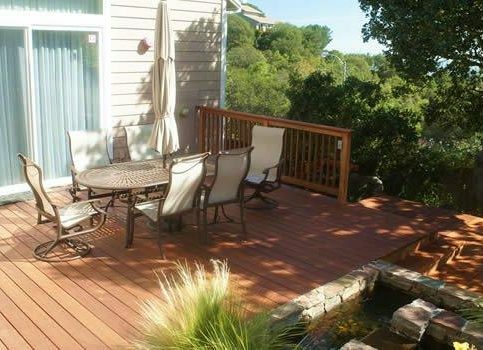 A: We build patios, decks, retaining walls, fences, arbors, gates, gazebos—to name a few. We also install French doors, sprinkler systems, hot tubs and low-voltage lighting. If you’re having structural or foundation problems with your house, we can help with that, too. Q: Does your work add equity to a home? A: Absolutely. A beautiful outdoor environment can greatly increase the value of a home. Q: Do you ever encounter landscaping problems that are just too difficult to solve? A: There’s no such thing as an impossible job. Our team of experts will always find a way to make a yard beautiful. We welcome challenges such as slopes or areas where access is tight, because we have the expertise and equipment to get the job done. Q: Can you fix an established garden that looks like a total wasteland? A: Yes. We pride ourselves in our creative renovations. Q: What about drainage? How important is that? A: Very important. Improper drainage can cause a multitude of problems. Resolving any drainage issues is one of the first steps in the construction process. Q: What if I’m not quite sure what I want? Can you help me decide? A: Absolutely. We work with a team of award-winning designers and architects who will begin by asking how you plan to use the space, and then take it from there. Q: Do you provide free consultations? A: Atlas Landscapes is licensed, bonded and insured. 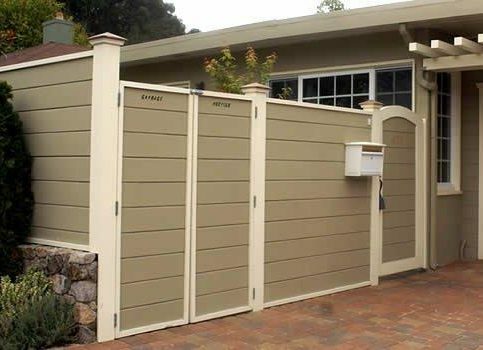 This privacy fence was designed to match the adjoining building. 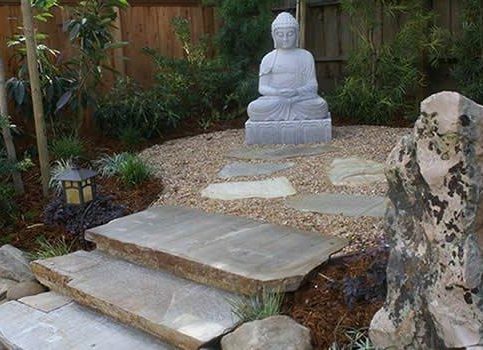 Atlas Landscapes installed this meditation garden. 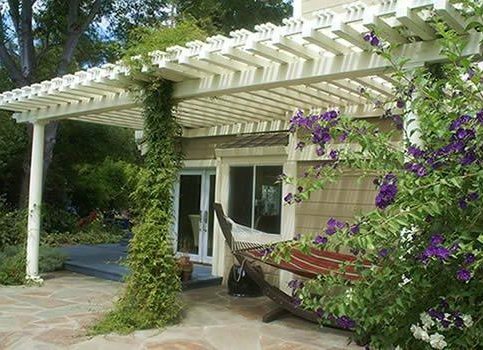 This arbor was designed to create natural shade. 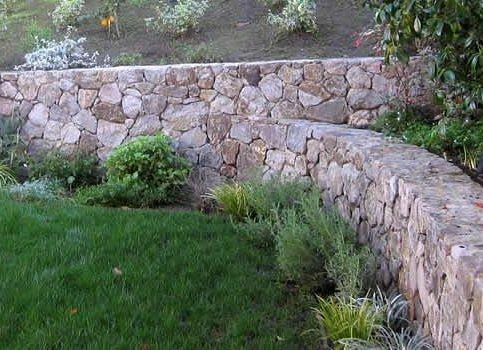 These stone retaining walls are seamlessly joined together. Atlas Landscapes recently installed this tiled entrance. 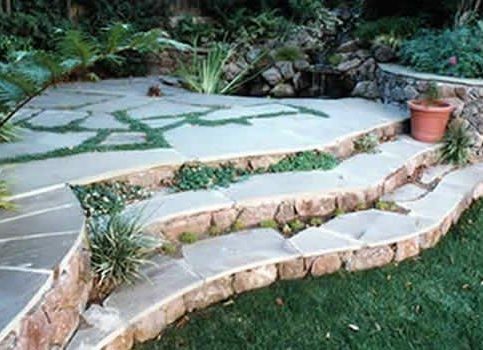 These curved flagstone meandering steps lead to an outdoor water feature. 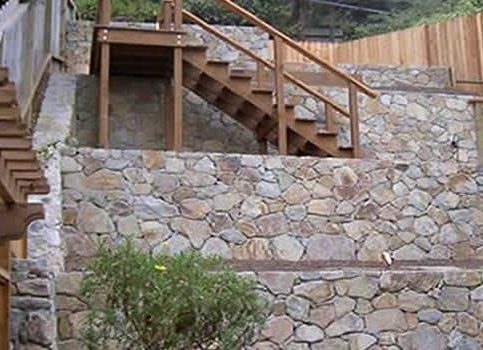 This steep hillside is retained with natural stone walls and steps. 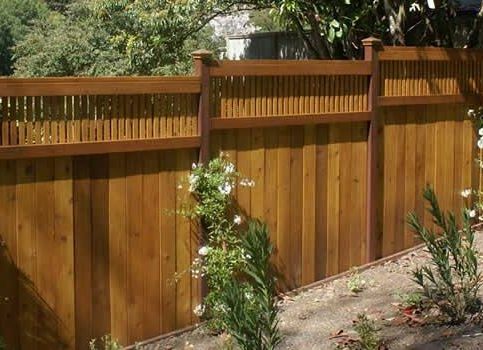 Atlas Landscapes installed this redwood fence with vertical accents. 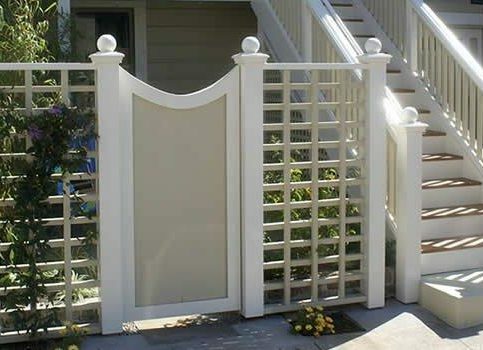 This fence and gate were designed to meet city codes while maintaining the Victorian home’s original style. 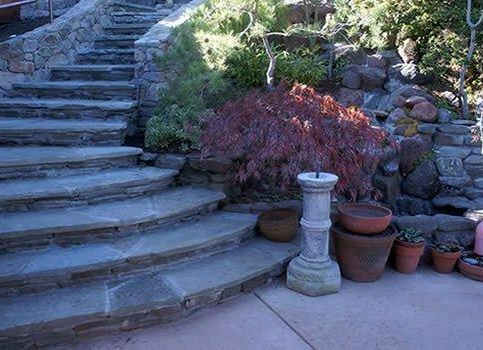 Atlas Landscapes installed these flagstone steps. 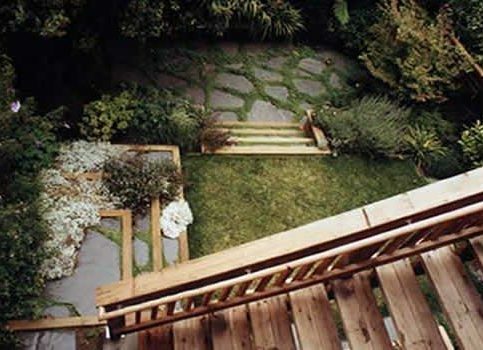 Atlas Landscapes was able to make this extremely steep hillside usable. 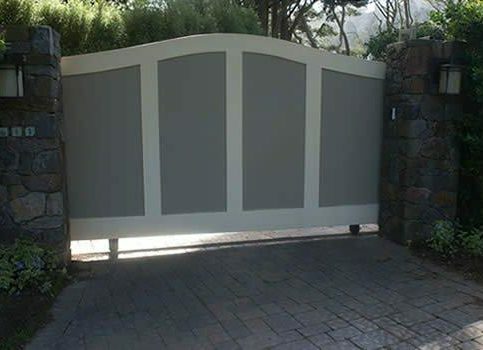 Atlas Landscapes custom-built this sliding automatic gate with stone pillars. 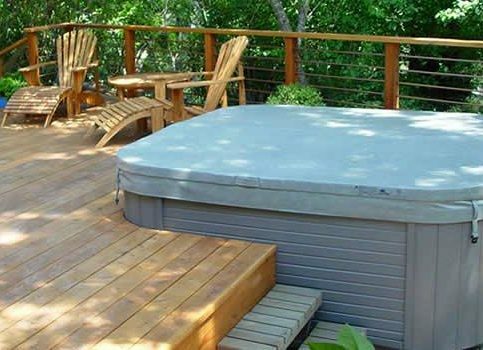 Atlas Landscapes built this hot tub into a deck for easy access. 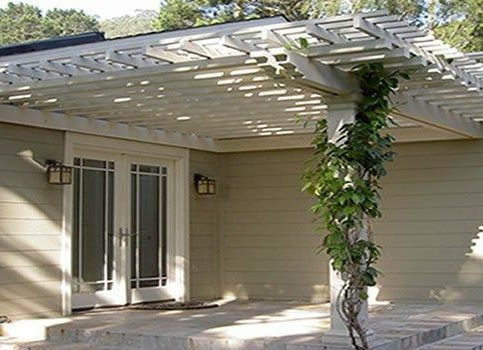 Atlas Landscapes installed this entrance arbor on a Mill Valley home to create depth and dimension. Dave Graham is a 36-year veteran of the landscaping industry and owner of Atlas Landscapes, a Diamond Certified company since 2008. He can be reached at (415) 742-1953 or by email. A: Tea. I drink green tea every day. Q: What’s your favorite tree? A: The Purpleleaf Plum tree. It typically flowers around the 15th of February and serves as an indication that winter has passed and summer is on its way. So, that’s something I look for every year. A: Sit by the fire and read a book. Q: Do you have a favorite book? A: I read a lot of poetry, and one book I’ve been reading my whole life is “The Prophet” by Kahlil Gibran. It’s full of great wisdom, and I think it’s kind of timeless. Q: Do you collect anything? A: I collect Shona sculptures, which are made of African stone. MILL VALLEY — Fireplaces date back to ancient times, when people would sit around the fire and tell stories. Today, fewer and fewer homes have indoor fireplaces (especially in California, which has strict environmental regulations), but outdoor fireplaces are growing in popularity. By giving you and your loved ones a place to gather around, a natural stone fireplace can substantially increase your enjoyment of your outdoor living space. A custom-built stone fireplace is nice, but not everyone has the budget for it. Fortunately, there are prefabricated models that are very affordable and still have an authentic feel. Also, since these fireplaces are gas-powered, you don’t have to deal with common drawbacks like smoke and gathering wood. 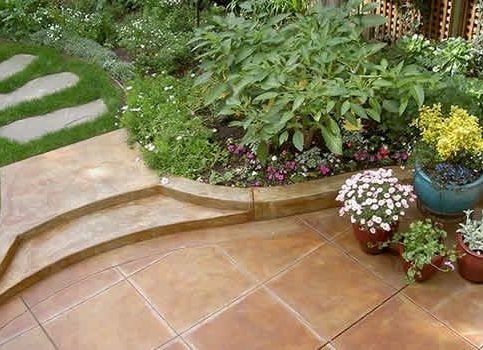 They typically go well with any type of patio stone, and they come in all shapes and sizes. If you’re planning to purchase an outdoor fireplace, keep in mind that it requires a permit to run the gas line and test the pressure. MILL VALLEY — Host, Sarah Rutan: If you’re looking for a way to improve your outdoor living space, it’s worthwhile to consider the addition of a stone fireplace. Today we’re in Mill Valley with Diamond Certified Expert Contributor Dave Graham of Atlas Landscapes to learn more. Diamond Certified Expert Contributor, Dave Graham: Hi. This is a natural stone fireplace, and it’s a great addition to have in any garden. It will draw people, and people love sitting around it, and I guess it goes back to the ancient times when we sat around the fire and told stories. This is run on a gas line from the house, so there’s no danger of sparks, and most cities will allow these. Of course they do require a permit to run the gas line and make sure it’s pressure tested. It’s turned on by a key at the side, and then you simply light it. It puts out about 40,000 BTUs, and it’s just a great feature to have in the garden. 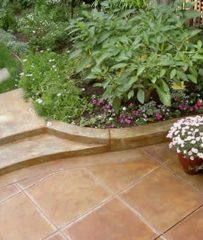 This one goes really well with any other type of patio stone, and they come in all shapes and sizes. You can buy them off the shelf. They’re a lot less expensive that way than having a custom one built, but I highly recommend you consider this as part of your garden. Atlas Landscapes : Average 9.4 out of 10 based on 50 unique customer surveys of customer satisfaction. We just completed the a major overhaul of our deck, porch, and yard. 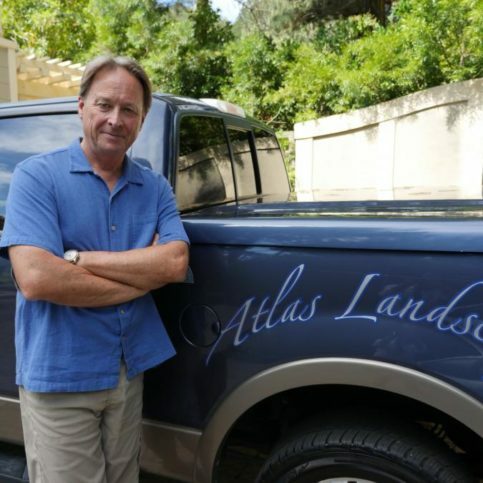 After interviewing several land firms, we selected Atlas Landscaping. Dave is an amazing listener, and he truly understood our vision for the space. He created a lot of amazing elements that were in line with the direction we wanted to go and presented each of these additions complete with a estimate for the cost. Dave told me he could do the job in 7 to 9 days, and I was skeptical about him completing a job of this magnitude in so little time. Dave's crew of 8 were truly phenomenal. They were on time every morning, and they were the hardest working team I ever encountered, not a moment was wasted. They were polite, respectful of out home, and even worked on Saturdays. The job was 100% complete, exactly to our specifications in 10 days, and it was done with the highest craftsmanship. It's overall one of the best home improvement experiences that we've ever had, and we highly recommend them. They were great. We were very satisfied, and they exceeded our expectations. Very accurate in the description of what they were going to do, and the price estimate was right on the market. Our neighbors and friends have been blown away by the spectacular job Dave did on our property. People who are considering having him do work have also come out to see the work he did for us. Atlas Landscapes does superior quality work. Dave listens to his clients, and he is very creative, professional, and easy to work with. My husband says both the stone and landscape guys are really good. They are careful and thorough in their work. We are really pleased with how everything has turned out with the projects Dave completed for us. Everyone loves the look that was created. They are friendly, experienced, and professional. They did a really good job, and I would use them again. I liked that they worked quietly, efficiently, and they got the work done. I really liked how everything looked when they completed the work. I have used Dave twice, and I am planning a new project and will use him again soon. He did the deck on my roof and the yard. He put down flagstones in a European style and moved my fruit trees. The whole area looks beautiful. I liked that he helped me keep my landscape to match the look of my house. He gave me so many useful suggestions and tips that have saved me money and that worked out beautifully. He is so knowledgeable, and I defer to his expertise because he knows what he is doing and what works. Our landscape architect recommended Atlas Landscapes. We were delighted with the work that they did. They were easy to work with, responsible, and dependable. Our property was recently selected to be on a tour when a professional landscaper's association had a meeting in San Francisco. This is a professional and reliable company. They are hard workers. They arrived on time and worked diligently. We particularly love the stonework. Dave does high quality work, and he is very dependable. I really enjoy working with him. He has transformed the place. We are very happy with everything. We love the results. All of the hard work, effort, and the expense has been worth it because the results are so wonderful. They are completely reliable. Dave, the owner, was on-site frequently. He handled everything well and stood behind his work. He is a great problem solver. We liked Dave's work crew. They were hard workers, polite, clean, and they did the best job possible. They are a first class company all the way. They are very good at what they do. I like their talent, diligence, and their efficient execution of the work. They are accommodating, low-key, and very patient. They are the best crew I've ever worked with, a no fuss no muss crew. They always say yes to things I come up with. I've used them several times. They are the best contractors I have worked with. I liked the work that they did and all the paving they put in. David was very attentive. The people that worked for him were very nice and compassionate when it came to digging up my property. I have received lot of compliments on the landscaping. I would give them a '10+'. The quality of their service was terrific. Their work was outstanding. They cleaned up after themselves. If there were potential problems or glitches, they were very clear about what they might be. They were good communicators regarding how the project was proceeding. Dave was very straightforward. He presented options in different price ranges and worked with me on the more reasonable plan I selected. He did the work and finished it when he was supposed to. They were very clean, the work was completed on time, and they didn't leave a mess. They did good, quality work. Everything, they were great. I was very satisfied with their services. They were prompt, they did good work, and they stuck to their bid. They were great.